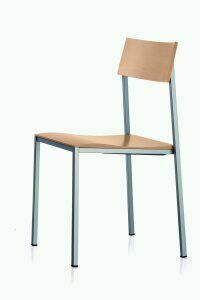 Stackable chair made of wood and metal that brings high quality, clean aesthetics, ergonomics and efficient production methods into harmonious balance with one another. 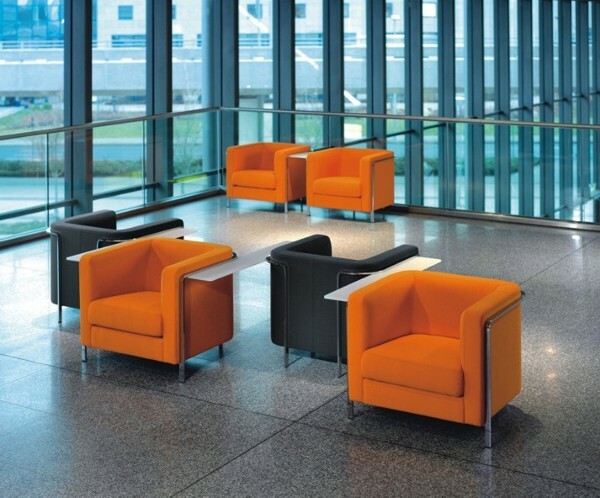 Whether in a private area, a lounge or a foyer, M_sit provides a stylish solution. 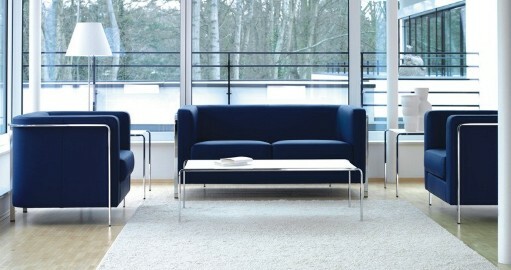 As an individual element – placed individually or configured as a group – it sets clear design accents. By linking table and sofa, armchairs, “landscapes” can be created for every requirement to make waiting a pleasant matter. 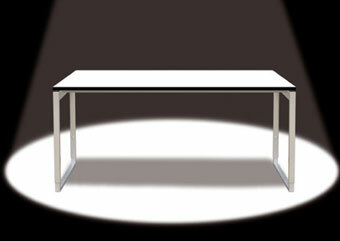 Folding table system combining slim elegance with aesthetic perfection unites all modern demands and is easy to use. It comes up with new solutions to old problems by deploying the highest degree of structural and creative intelligence. 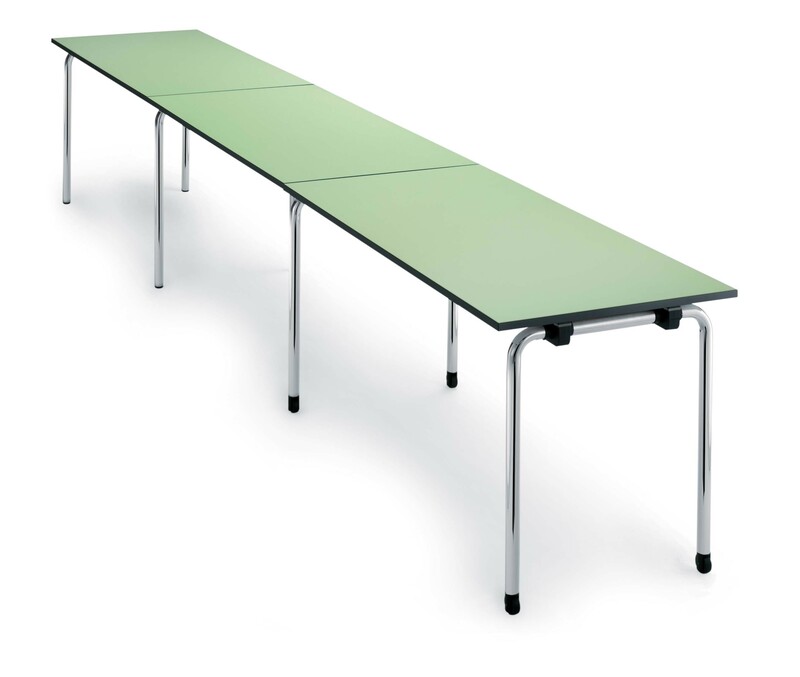 Pinatec desk range with its clear form and flexibility is suitable as management desks, and for use in administration and conference rooms. 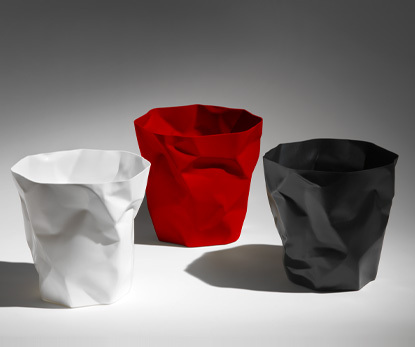 A wastebasket with an identity all its own; Bin Bin looks exactly like the contents it is designed to contain, crushed paper. The product is made of hard polyethylene. 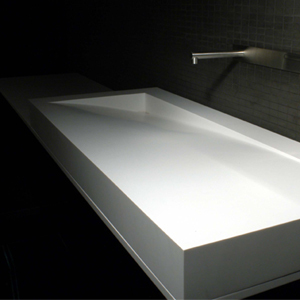 The inner basin similarly minimalistic pure. By an accurate cut like a surgical operation the surface is stretched down to one corner, where the water vanishes in a subterraneous slit.